One of the biggest risks we take is carrying over trades over the weekend! Clearly people who trade with 500-1000 pip stop loss won't be affected that much, but most of us don't have enough margin to do so. All in all, weekend gaps can really cause a lot of damage and the sad part is no one teaches how to protect your self from it! Which currency pairs are likely to good for carry trades? When you want to do carry trade, you have to know the interest rate of the country. When you buy a currency, you get the interest rate of this currency, and when you sell it, you pay the interest rate on this currency. You get 2.17-0.38 = 1.79% in your favor, but there is some added fee. 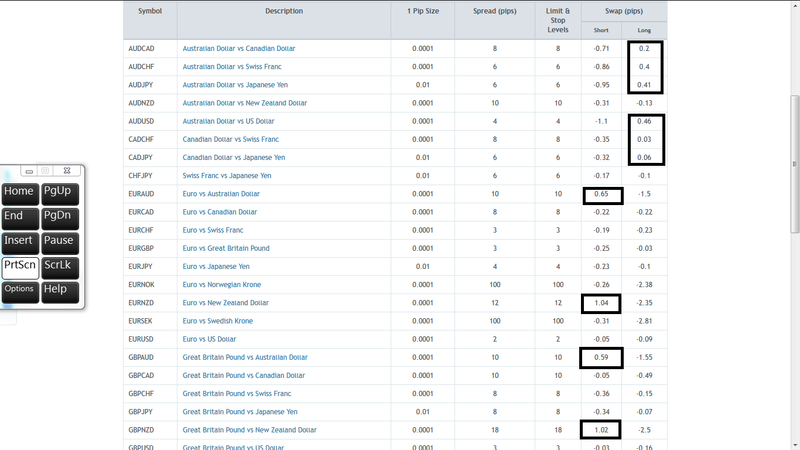 Rule : Select higher rate country and lower rate country; find the corresponding currency, sell lower-higher, or buy higher-lower. It would be better of course to sell USDTRY, it mean sell USD buy TRY -2.17 + 10. 3 = 8.13 % in your favor. But => if you sell USDTRY, you need the chart USDTRY to go down, unless you loose money, when closing the trade. Here is USDTRY D1, going down, good time for carry trade.... if the trend remain downward ! It mean that an economy is performing better than the other, or worsening less, weither it can be USD economy, or turkish economy. I am not a specialist of carry trade, just understand a few thing, hein ! very good. Try it in practice.